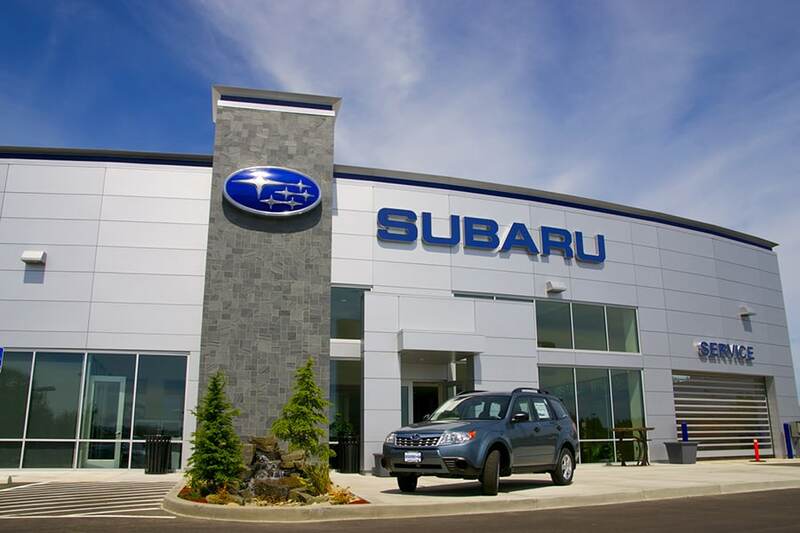 Have you been looking for a new and used Subaru dealership near you? McCarthy Subaru of Lawrence in Kansas - serving Ottawa, KS, Baldwin City, Tonganoxie, and Eudora, KS - is where you want to be! From our dedicated finance department to our top-notch service team, we can help you with anything during the car buying process. We've earned the 2017 Subaru Stellar Care Award, which is given only to the most customer-focused Subaru partners. It means that we've held ourselves high in every category for outstanding customer care and service. Read some of our testimonials and then come by today to see for yourself why our customers love working with us. We're conveniently located at 2233 W 29th Terrace, Lawrence, KS 66047. Looking to buy a new Subaru? Come to McCarthy Subaru of Lawrence in Kansas - serving Ottawa, KS, Baldwin City, Tonganoxie, and Eudora, KS - for all your vehicle buying needs. Our inventory has all the newest models, like the Subaru Legacy and the Subaru Forester. For the adventurous families, we also have the Subaru Outback and the Subaru Crosstrek. For the everyday commute, we have the functional Subaru Impreza. If you need a little more strength behind the wheel, we also have the exciting Subaru BRZ and Subaru WRX. In addition, we are very excited to have the All-New 2019 3-row Subaru Ascent in our inventory, it is Subaru's biggest SUV with up to 8 passenger seating! We're sure to have the new vehicle you've been looking for, so come visit us today at 2233 W 29th Terrace, Lawrence, KS 66047 to take a test drive. We have a great selection of certified pre-owned Subaru vehicles here at McCarthy Subaru of Lawrence in Kansas - serving Ottawa, KS, Baldwin City, Tonganoxie, and Eudora, KS. These vehicles have passed our intensive testing so you can feel confident owning a certified pre-owned from us. Browse our inventory online and then give us a call at 888-815-5793 to set up your consultation. Here at McCarthy Subaru of Lawrence in Kansas - serving Ottawa, KS, Baldwin City, Tonganoxie, and Eudora, KS - we understand the benefits of buying used cars. We see three major advantages: lower starting prices, lower fees, and good quality. We offer virtually all makes and models in our used inventory, so you're sure to find the perfect used vehicle to fit your lifestyle. Browse our inventory online, check out our used specials, and then give us call at 888-815-5793 to set up a test drive. The finance department at McCarthy Subaru of Lawrence in Kansas - serving Ottawa, KS, Baldwin City, Tonganoxie, and Eudora, KS - is staffed with caring individuals who want to make your car buying process stress-free. You should check out our Incentives & Offers page for our current deals. If you're not sure whether to buy or lease, we've got a convenient page on our site that outlines the benefits of both so you can see which is best for your lifestyle. You can begin your finance application online today, and then call us at 888-815-5793 to schedule your appointment. There's no doubt that the service staff here at McCarthy Subaru of Lawrence in Kansas - serving Ottawa, KS, Baldwin City, Tonganoxie, and Eudora, KS - can handle your vehicle service needs. Our technicians are OEM certified and have undergone hours of intense training with the Subaru vehicle lineup. Regular maintenance checkups are the way to keep your Subaru on the road. We make it easy to schedule your service online and with our Subaru Service Menu, you can see exactly when you need to bring your car in for recommended services. Take a look at our service specials and then give us a call at 866-831-4244 if you have any questions. For all your Subaru vehicle needs, visit McCarthy Subaru of Lawrence in Kansas - serving Ottawa, KS, Baldwin City, Tonganoxie, and Eudora, KS. With our outstanding customer service and knowledgeable staff, we can make sure you drive home the Subaru vehicle you've always wanted. Stop by our location today at 2322 W 29th Terrace, Lawrence, KS 66047, or call us at 888-815-5793 to set up an appointment.